Have you ever had clearance issues with your SATA Cables? Well SilverStone Technology may have the answer! 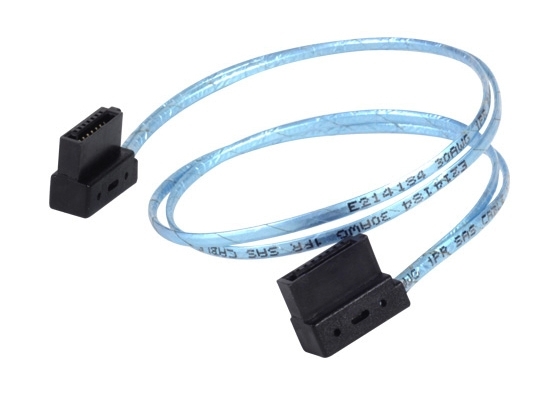 These cool little SATA Cables have super low profile connectors and very thin, inconspicuous cables. These SilverStone CP11 SATA cables are available in both Blue (300mm long) and Black (300mm or 500m long). Have you ever had this happen? Your GPU resides directly over your motherboard’s SATA connector? Well this SilverStone super low profile SATA connector, sure would solve this problem! For more information on these cables visit the SilverStone Tecknology website.